Every function is working perfectly. Display is clean and has protective glass on it. The high-resolution tilt movable finder newly installed on the GX7 clearly displays all the details with high resolution equivalent to about 2.76 million dots. You can face the subject tightly and focus on shooting. Viewfinder type: electronic viewfinder. Compatible with: LUMIX. With the viewfinder: Yes. Viewfinder magnification: 0.7 x. Minimum / maximum photography sensitivity (enhanced sensitivity): ISO 100-25600. Finder type Electronic viewfinder. 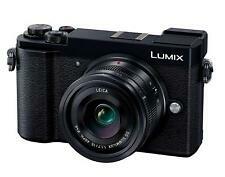 Compatible models LUMIX. With viewfinder Yes. Furthermore, by finely adjusting the brightness and hue of the finder / rear monitor, the subject is more faithfully reproduced. Viewfinder Type LVF. 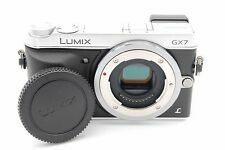 Manufacturer Panasonic Model DMC-GX7MK2-S. RAW JPEG recording Yes RAW. LCD Monitor 3.0" approx.1040k dots Liveview. Articulating Monitor Type Tilting LCD. Sensor Type Four Thirds(4/3) LiveMOS.